I missed posting last week, so catching up today. No finishes yet, but very close with my Challenge Quilt for Sunshine Quilt Guild. This is due the first part of May, and I am trying to get it finished, quilted and bound before May 10th. 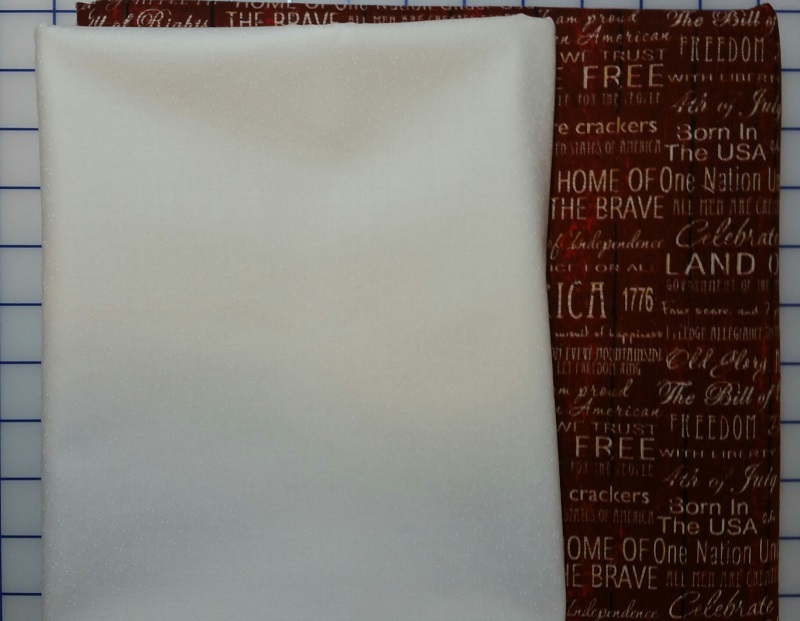 The theme is Patriotic and I am making a quilt that I have wanted to do for a long time. 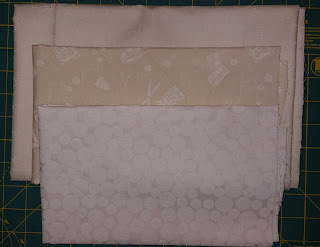 I am using all fabrics from my stash, except for the backing. Check out my Design Wall tomorrow for another little teaser. I won't be able to reveal the quilt to you until after May 10th, so check back then to see my finish. I do have a couple of adds to the stash this week. 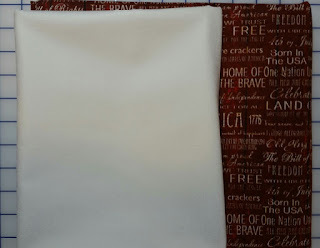 The red fabric is for the backing for the Challenge quilt, and I picked up a few more neutrals for the stash. 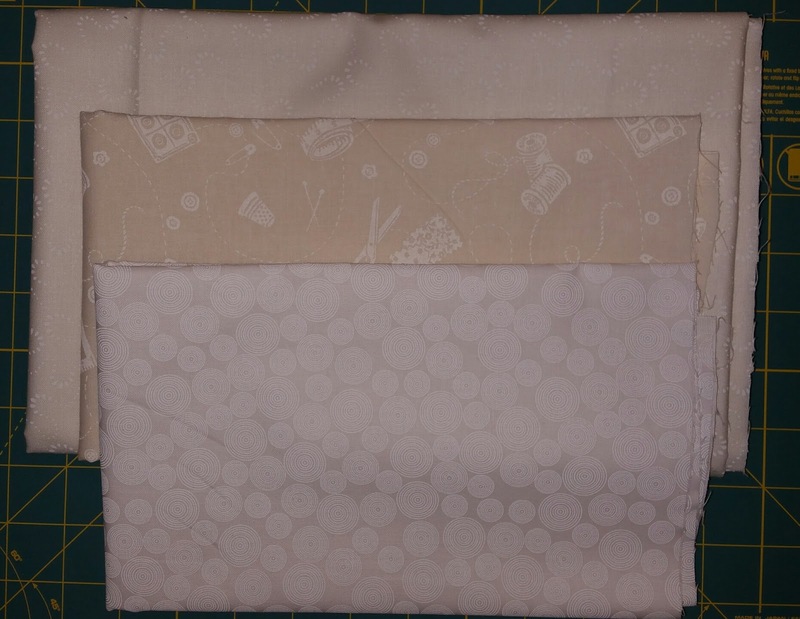 You can never have enough neutrals for all those great scrappy quilts that I tend to make. These fabrics were purchased at Rosie's, here in San Diego. I trip to this shop is always trouble, as I end up purchasing more than I need! Here are the new numbers for the week! Still in the black, with more finishes on the horizon. Purchased this week: 8 yards. Net Fabric Used YTD: 25 yards. Have a great week, and check back tomorrow to see what is on the Design Wall. See more reports at Patchwork Times. I know that you will have a great patriotic quilt, one of my favorites, love red, white and blue. Glad that you found some good neutrals, I am always on the look out for Sandra, she goes through making tops like the breeZe. Have a great week.